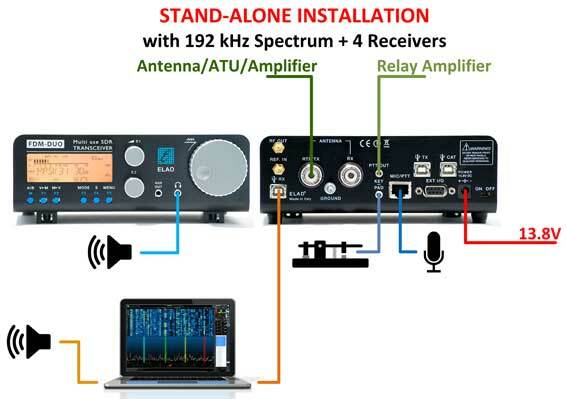 A SDR transceiver with 5W output that can operate as a stand-alone without a PC! 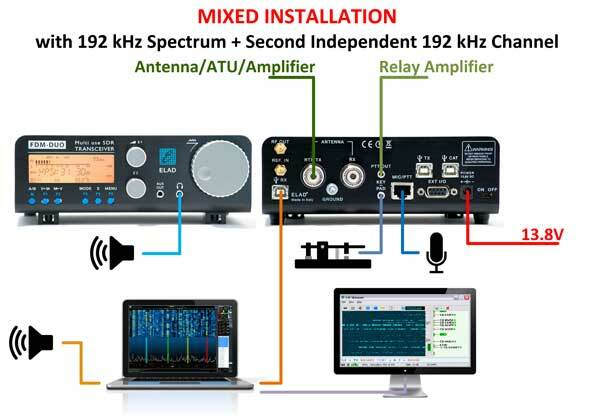 The small transceiver is equipped with the latest SDR technology: A fast analog-digital-converter samples the received HF directly into digital signals and a downstream DSP module provides for filtering and processing. Another ARM processor handles the signals of the control unit. 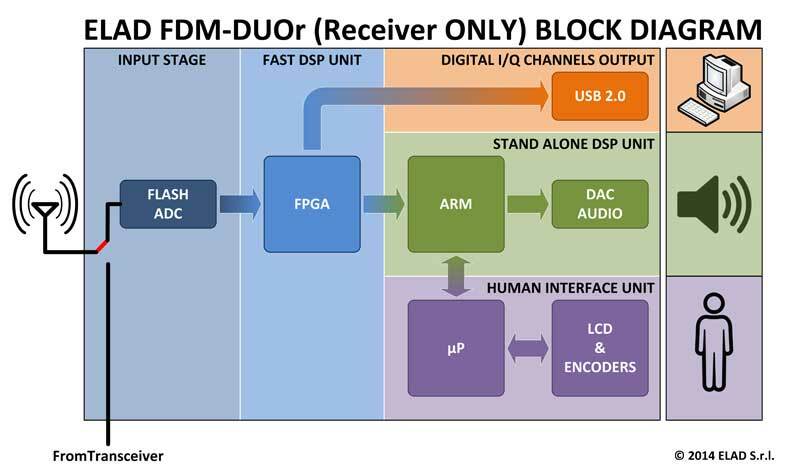 One highlight of the FDM-DUO is the possibility to use it standalone without a computer also. 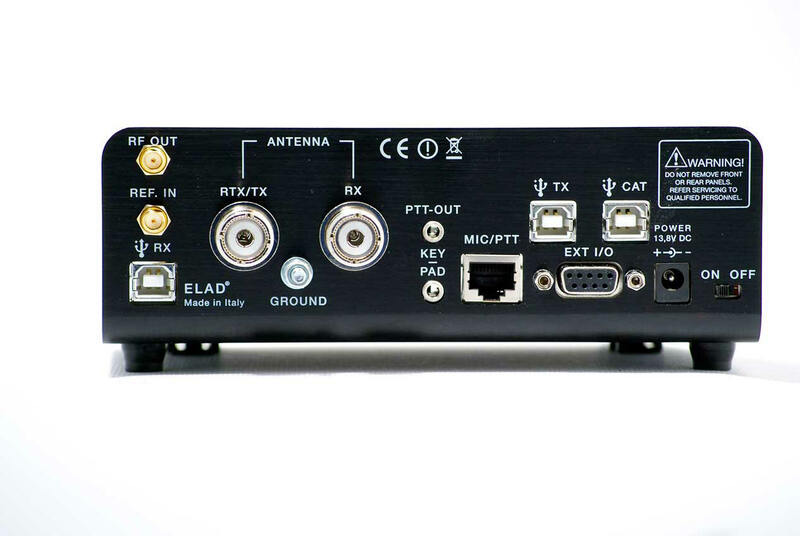 Then, this transceiver is a perfect companion for the QRP fan, so that you can have a modern SDR with you even on holidays. The controls are very easy to use for a portable QRP transceiver. In addition to a big VFO knob there are two smaller knobs for volume and filter-center/width (amongst others). Six buttons below the well readable LC-display access the most important functions directly. Less frequently used settings are available via menu system. 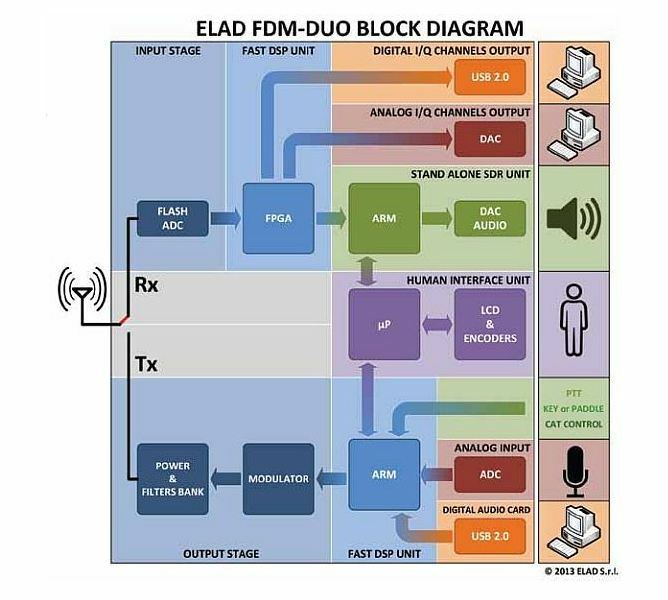 Connected to a PC, FDM-DUO is a very modern SDR receiver and transmitter with capabilities which are usually available in very large large radios only. The device receives from 10 KHz to 54 MHz. A 16-bit ADC with 122 MHz sampling rate is built-in. 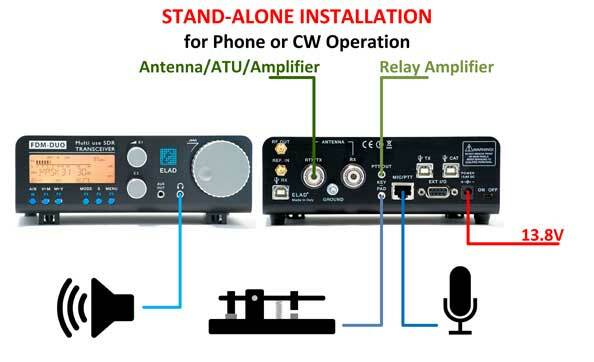 Receive modes are: SSB, CW, AM (incl. Sync-AM), FM, WFM (incl. Stereo and RDS! 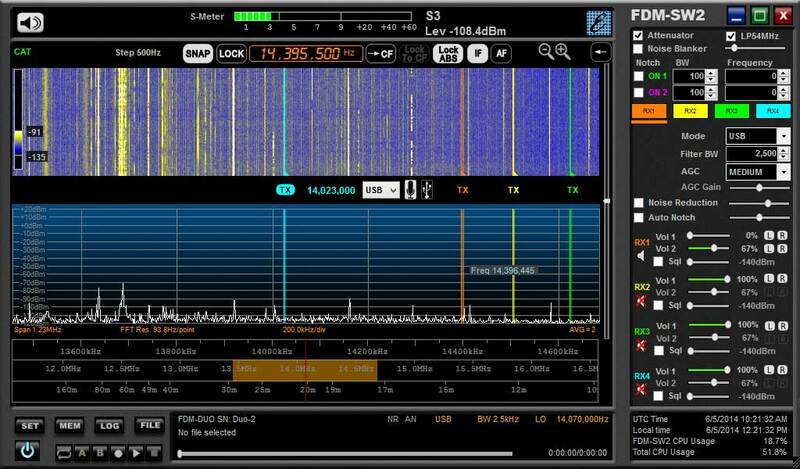 ), RTTY and DRM. The transmitter has 5W output power, alternatively a HF output jack with 0 dBm output. Together with a computer the possibilities for the FDM-DUO are extended quite considerably of course. Three(!) USB 2.0 interfaces offer a wide range of possibilities. One interfaces works as a CAT controller, another one provides digital I/Q data for the waterfall diagram, and the third USB port serves as a external sound card for the PC! 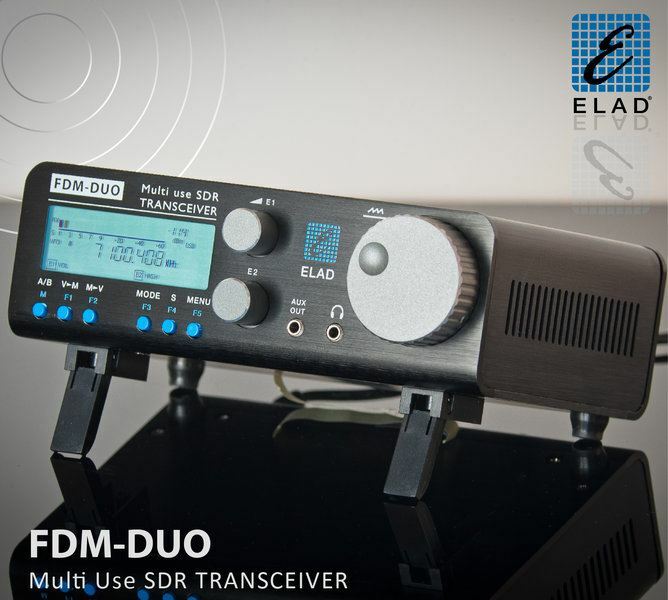 This way the FDM-DUO can be used for digital modes such as RTTY, PSK31 etc. By distributing these functions to three separate USB interfaces the handling for the user is made much easier, in most cases no additional USB drivers are required. 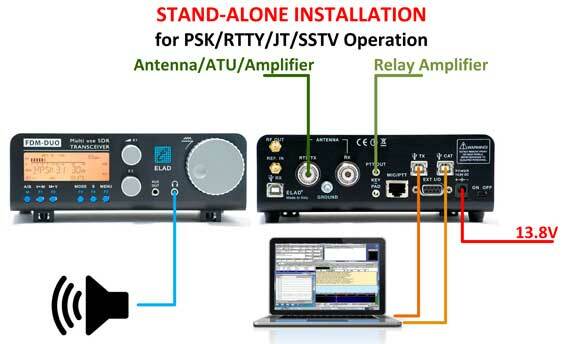 The FDM-DUO has two configurable antenna jacks: RX/TX on the same jack, or RX and TX on one jack each. We stil lexperience a higher demand than what can be met by the supplier. This can lead to delivery delays of several weeks. (as of end of October 2014). When you order now you will be put on the waiting list. Payment is not required until we ship. We will ship the products in the order of reception of customer orders. We will ask each customer on the waiting list in any case, if they still want to maintain their order. If not we will cancel the order without any any problems. So this order is without any risk for you. But it helps us to estimate the demand and plan our procurement accordingly. Many thanks!